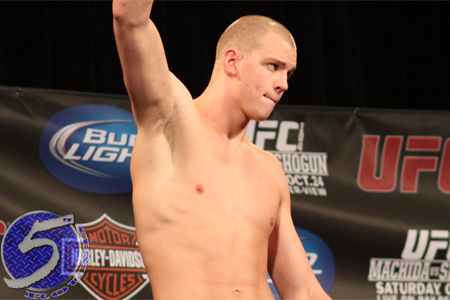 Stefan Struve (pictured) was hellbent on making it happen, and the heavyweight’s wish will come true at UFC 175. On Wednesday night, it was announced Struve will make his return from severe heart issues to meet Matt Mitrione in the July 5 event. In August, Struve was diagnosed with a leaking aortic valve and an enlarged heart. After months of running extensive tests on his ticker, “Skyscraper” was recently given the green light to resume his fighting career. The 26-year-old owns a 25-6 professional MMA record. Struve has fought 13 times for the UFC since joining the promotion in early 2009, winning nine of his scraps inside the Octagon. He was last seen getting TKO’d by Mark Hunt in March 2013. Struve broke his jaw in the contest. Mitrione, meanwhile, has dropped three of his past five fights. However, “Meathead” is coming off March’s vicious knockout victory over Shawn Jordan.